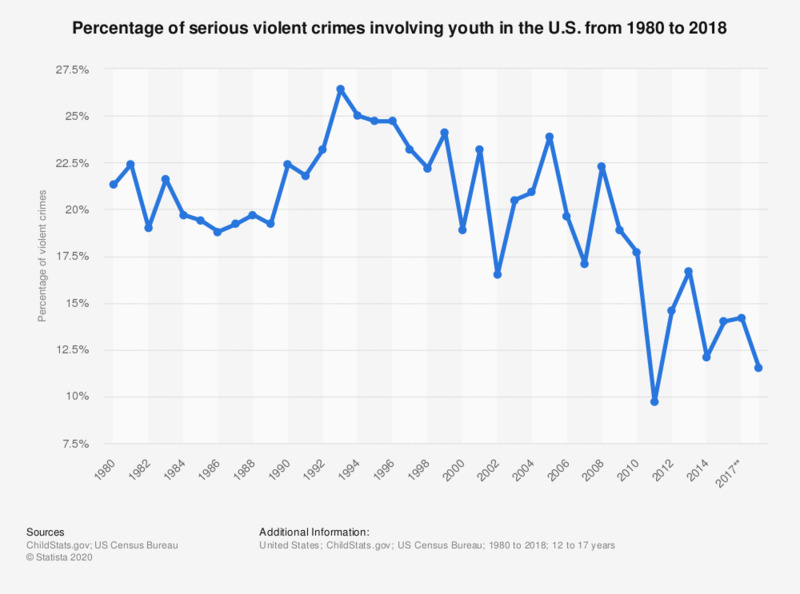 This statistic shows the percentage of serious violent crimes involving youths, ages 12-17 years, in the United States from 1980 to 2016. In 2016, around 12.1 percent of serious violent crime cases in the U.S. involved teenagers. Youth are classified here as persons aged 12-17.